The Z Beat: Question of the Week: How often should I change my playlist? Question of the Week: How often should I change my playlist? 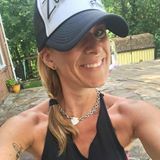 If you're part of Zumba's social media communities, you know that we often see the same questions coming up over and over again. In the Question of the Week series, I try to synthesize some of the answers I read. Note this is advice from you (the proverbial you, as in "all of yous out there who respond to people's questions on Facebook). As I always say, I'm not in charge of the Zumbaverse so please consider this a compilation of ideas, not a set of hard and fast rules! Do you teach when you're sick? Are you focused on fitness or an entertainer? So, today we ask: How often should I change my playlist? Everyone has their own advice, and many people swear by whatever their B1 ZES suggested to them. Here are some ideas. Keep 15-20 songs in your playlist. Add a new song each week and remove the oldest one. Use 75% new songs (meaning, you introduced them within the last 8 weeks) and 25% oldies-but-goodies. Introduce one new song each week and mix up the rest, retiring some songs forever when they get too overdone. Use the same playlist for at least a month, giving students a chance to pick up the moves. Rotate through the same 3-4 playlists until they become too easy for students. I admit that I'm more of the 75%/25% type - maybe even 50/50. About half of my songs are usually new, introduced within the last 4-6 weeks, and half are oldies. I always worry that students will get bored (and, maybe they do) but a few of them get so excited when they hear their favorite oldie that I just can't help it. 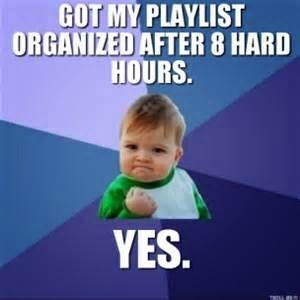 But, every single playlist I've ever used has been unique - I switch up the warm ups and cool downs, and I rearrange the order so it's never obvious as to what's coming up next. In the end, you have to do what works for you and your class. If you get really nervous about introducing a new, you probably shouldn't offer three new songs a week - talk about anxiety! If you get bored very easily and know that it impacts your energy, you should mix it up more! Since I only teach one class a week, I don't change up my playlist often, because my students get confused, and don't get as good of a workout. I found that as a student, keeping songs around for a while made me get a better workout, because I spent less time trying to figure out WTF was going on, and was able to give the moves more "oomph". So that's carried over into how I teach, but if there's a request for an oldie-but-a-goodie, I have no problem changing my playlist on the fly to accommodate! Please change the music as often as you can. As a student I get bored if I hear the same song played more than 5-6 times. And if it is a song that I'm not crazy about, then I just don't look forward to going to class anymore if I have to hear an instructor play that song more than that.